In July 2018, the U.S. Food and Drug Administration (FDA) announced a voluntary recall of several drugs containing valsartan, an antihypertensive medication used to treat heart failure and high blood pressure. The federal agency’s warnings alerted patients and healthcare professionals that some valsartan-based medications contained impaired N-nitrosodimethylamine (NDMA), a semi-volatile organic compound created as a byproduct in many industrial processes. Were you injured or did a family member die after taking valsartan or a combination of valsartan with other medicines to treat heart failure, high blood pressure, or post-heart attack recovery? Are you now suffering was liver damage or cancer? If you answered yes to either of these questions, you might benefit from participating in a Valsartan lawsuit. The US Food and Drug Administration recently announced that individuals who took valsartan-based medicines might be at risk of developing life-threatening cancer, kidney issues, or other medical problems because of a problem when the medication was manufactured. Unfortunately, even though the contaminants were just recently discovered, many patients have been at risk for years are developing cancer or suffering other serious medical consequences after taking the drug for weeks or years. Lawsuit investigations are now being undertaken in claims filed by patients who developed unnecessary complications including liver damage, cancer, and wrongful death. By September 2018, the U.S. Food and Drug Administration expanded their recall of valsartan blood pressure drugs that are believed to contain two potentially life-threatening cancer-causing chemicals NDMA and NDEA. These chemicals are considered byproducts of industrial processing. After rigorous laboratory testing both NDMA and NDEA have been classified as potential human carcinogens that are known to cause cancer in humans. The hazardous chemicals found in valsartan including N-nitrosodimethylamine (NDMA) are found in numerous food products including cured and smoked meats, malt beverages including whiskey and beer, smoked tobacco products and medications. Is There a Valsartan Recall? Yes, the Food and Drug Administration currently recalled some valsartan-based medications from the medical marketplace. However, not every valsartan-based product distributed in America is under recall, but only the drugs manufactured by Zhejiang Huahai Pharmaceuticals, Prinson Pharmaceuticals, and Teva Pharmaceuticals Industries. The federal agency is currently reviewing health care concerns and is investigating the potential risk of elevated levels of N-nitrosodimethylamine (NDMA) in valsartan products that have been recalled. The FDA is attempting to better understand the risk to patients who are now taking or have previously taken valsartan products tainted by dangerous chemicals. What of the Side Effects of Valsartan? The dangers of short-term exposure to N-nitrosodimethylamine (NDMA) could cause liver fibrosis, scarring, and liver damage. Long-term exposure could increase the potential risk of tumors in the lungs, kidneys, and liver. While the chemical was once manufactured in the United States for commercial use, it is now made in America only for research purposes. Decades ago, NDMA was manufactured as lubricant additives, antioxidants, liquid rocket fuel, and copolymer softeners. Is There a Recall on Losartan? Is the FDA the Only Overseer Recalling Valsartan? By the time the Food and Drug Administration recalled contaminated valsartan products from the medical marketplace, twenty-two other countries had already identified problems with valsartan medications manufactured by Zhejiang Huahai Pharmaceuticals, a Chinese drug manufacturing company and remove the medicines from their pharmacy shelves. Early in 2018, the European Medicines Agency (EMA) released reports of issues with valsartan products after finding impurities of NDMA in numerous drugs. The EMA stated that the chemical was a “probable human carcinogen” that was known to cause cancer in humans. United Kingdom health authorities also recalled tainted valsartan drugs and urged pharmacies across the nation to pull the contaminated products from patient use. How Long Does it Take for Valsartan to get Out of Your System? Testing shows that valsartan (Diovan, Prexxartan, Exforge, Entresto, Byvalson, Ampldopine, Cozaar, losartan) has an elimination half-life of approximately six hours based on about 5.5 x elimination half-life. Using this formula, it would take about 33 hours (six hours times 5.5) for the body to clear valsartan from the system. How Does Valsartan Work in the Body? Doctors prescribe valsartan (Diovan, Cozaar, losartan) to manage high blood pressure and treat heart failure complications. The ARB (angiotensin II receptor blocker) medication works by blocking the tightening of blood vessels caused by a substance in the body. The drug lowers blood pressure by relaxing the blood vessel while increasing oxygenated-rich blood supply to the heart. What is the Difference Between Valsartan and Valsartan Hydrochlorothiazide? Doctors prescribe valsartan to patients to regulate elevated blood pressure levels and to treat heart failure. 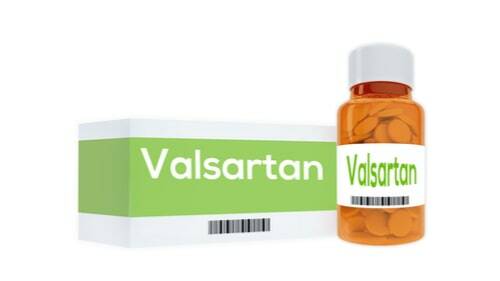 Valsartan HCT works primarily the same but contains an additional ingredient, hydrochlorothiazide, that is an effective diuretic prescribed to lower blood pressure by assisting the body when excreting excess amounts of sodium (salt) and water. Diovan HCT is the brand-name form of valsartan with hydrochlorothiazide that combines the popular angiotensin II receptor blocker (ARB) with a powerful diuretic. How Long Does it Take Valsartan to Work? Patients prescribed valsartan typically see noticeable reductions in their high blood pressure approximately 4 to 6 hours after taking the drug. However, the full effect of managing elevated blood pressure levels in treating heart failure problems often take up to two to four weeks to provide the most benefits. Are There any Potential Interactions Using Valsartan With Other Medications? Severe kidney disease where taking the drug could make the condition significantly worse. Certain medications can interact with valsartan-based products including NSAIDs (nonsteroidal anti-inflammatory drugs) including naproxen, ibuprofen, aspirin, meloxicam, indomethacin, and diclofenac. Other medications that might interact with valsartan or valsartan HCT include Rifampin, Cyclosporine, diuretics, and Ritonavir. What are the Potential Cancer Risks of Taking Valsartan Medications? Statistics found on the Online Adverse Event Reporting System managed by the U.S. Food and Drug Administration identified over 19,000 severe reports that involved over 2800 valsartan-related deaths that date as far back as 2009. Most patients filing formal complaints to treat elevated blood pressure levels and heart failure concerns complained the taking the drug increased their blood pressure or caused liver injury and liver cancer metastasis after taking the drug. The US Environmental Protection Agency (EPA) released a fact sheet showing that the contaminant NDMA “is reasonably anticipated to be a human carcinogen.” Studies on animals revealed that N-nitrosodimethylamine can be toxic to humans and might lead to the development of tumors of the respiratory tract, kidney, and liver. Elevated exposure levels of the toxic chemical could cause liver damage. Is There a Risk for Liver Damage When Taking Valsartan? How Many Patients Could be Affected? Statistics maintained by the National Center for Health Statistics show that approximately one-third of adults in the United States suffer from elevated blood pressure levels. Of these individuals, three-quarter likely takes some medication to regulate their blood pressure or treat heart failure problems. According to FDA press officer Sandy Walsh, “valsartan-containing drug products with active pharmaceutical ingredients supplied by the affected manufacturer make up nearly 43% of the United States market share of valsartan-containing drug products since January 2018.” The FDA states that doctors have likely prescribed valsartan-based drugs to more than 3.7 million patients up through 2018. What are the Latest FDA Updates Involving the Valsartan Recall? On August 20, 2018, the FDA updated their recall information to alert patients and healthcare professionals that Torrent Pharmaceuticals Limited will begin voluntarily recalling specific lots of their valsartan/amlodipine/hydrochlorothiazide (HCTZ) medications. 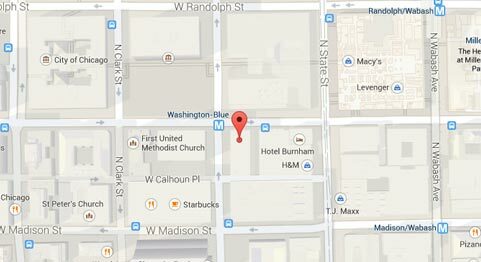 The federal agency stated that “not all Torrent [pharmaceuticals] valsartan products distributed in the United States are being recalled.” The drug monitoring agency was recently informed that some torrent pharmaceutical products were formulated with an active ingredient manufactured by Zhejiang Huahai Pharmaceuticals.” Testing by the Food and Drug Administration confirmed that some torrent products contained N-nitrosodimethylamine (NDMA). On August 9, 2018, Camber Pharmaceuticals, Inc. released to report after initiating a Consumer Level Recall of valsartan tablets. The company was issuing a recall after detecting trace amounts of N-nitrosodimethylamine (NDMA) and multiple batches of their medication. The recall was in response to a concern of the possible impurities and contaminants found in the API (active pharmaceutical ingredient) used to formulate their drugs. Just a week earlier while working together with medication pharmaceutical manufacturers, the FDA updated their list of recalled products to ensure that all future drugs containing valsartan will not contain any amounts of NDMA that could harm patients. The FDA reminded drug makers to evaluate their manufacturing processes using active pharmaceutical ingredients thoroughly and make any changes that are necessary to ensure a safe process void of any impurities. The agency states that if the manufacturer detects any unacceptable levels of impurities, they must take immediate action to ensure consumer safety. “The presence of NDMA was unexpected and is thought to be related to changes in the way the active substance was manufactured. What are the Legal Options for Patients Injured by Valsartan? Any patient who suffered harm after taking tainted valsartan blood pressure drugs can file a compensation claim or lawsuit to recover damages for liver problems, cancer, tumors, or other injuries associated with taking the medication. Many injured parties are suing the drug makers involved in the large-scale recall of contaminated valsartan. The bad drug injury lawyers at Rosenfeld Injury Lawyers LLC are currently investigating contaminated medication cases involving valsartan. Our dedicated attorneys have help to many victims of harmful medications and surviving family members who lost a loved one after taking a dangerous drug. We offer our years of experience and on-staff medical professionals and investigators to answer any questions you have about seeking compensation to recover your financial damages. Did you or a family member suffer severe injuries or illnesses associated with taking a bad medication like valsartan? If so, we encourage you to contact our law offices today at (888) 424-5757 or through our online intake form to schedule an appointment. Speak with one of our valsartan injury attorneys today during a free, no-obligation case evaluation. Our lengthy record of successful case resolution in handling dangerous drug cases is second none. We offer all clients a “No Win/No-Fee” Guarantee, meaning if we are unsuccessful at resolving your case through a negotiated settlement or jury trial award, you owe our law firm nothing. Let us handle every aspect of your case to ensure your family is adequately compensated for your damages.